St. Charles County is located in eastern Missouri. The population, as of 2014 was 379,495 residents and the county is one of the wealthiest and fastest growing in the state. There are 24 cities and towns that make up the county and each are unique with their character and personality. St. Charles County is served by six public school districts. There are a total of 83 schools in all providing educational opportunities from Pre-Kindergarten through grade 12. There are also more than 40 private schools in the County offering an alternative to public school education. Each district operates schools and programs that highly rated by parents, students and an assortment of educational professionals. Available real estate in the county includes single and multi-family homes, condominiums, townhouses and modular homes. Home buyers will also find significant new home construction which is an indication of a stable housing market and a vibrant economy. The typical St. Charles County neighborhood is made up of single family homes built by a variety of builders in a variety of architectural styles. Homes have two to four or five bedrooms with multi-bathrooms and half bathrooms. Prices for real estate vary greatly, but most prices fall into the affordable category with select real estate in the expensive range. The neighborhoods, a mix of old and new, are ideal for families with children of all ages, retirees and the first time home buyer. 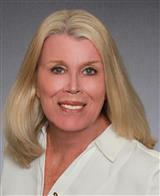 People interested in real estate in the County should contact Janice Freeman. Ms. Freeman is an experienced real estate agent and knowledgable about the County and the real estate that is available. The area that makes up the County was first settled in the late 1700’s. The County was originally named the District of St. Charles and had no geographic definition until 1816 when abutting counties were formed. One of the early settlers was Daniel Boone who migrated from Kentucky in 1798 and lived there until his death in 1820. The County, particularly the city of St. Charles served as the eastern terminus for stagecoach lines and supply trains that were headed west with settlers and their supplies. The area was first known for logging and agriculture. As farmland was taken over by developers, residential neighborhoods began to emerge and today the county has a very healthy residential population. The County Parks and Recreation Department offers diverse facilities and unique parks. The department also offers a wide range of programs and special events. Park amenities include paved and natural trails for hiking, walking and bicycling, picnic areas, playgrounds and bird watching and wildlife observation areas. Outdoor enthusiast will also enjoy camping and boating and fully stocked fishing areas. The department also maintains a variety of facilities including meeting rooms, picnic enclosures and banquet rooms. These facilities are available for a fee and ideal for family or neighborhood celebrations or corporate events. Programs include sports leagues for all ages, fitness classes, arts and crafts classes, boating instruction and some sports instruction. Checking out attractions and activities is an important aspect of choosing a new home. St. Charles County offers a variety of things to do that are suitable for family members of all ages. Residents will find historic sites and tours, classic car exhibitions, ghost and vampire tours, art galleries and family fun centers. Other activities for residents to take advantage of include music festivals, art workshops, theater, movies and seasonal activities. An interesting and educational activity is a visit to the Daniel Boone Home. The home is full of artifacts from days gone by and a great deal of information about the Boone family, as well as the St. Charles County area. Events often define a community and St. Charles County has their share of events for residents to enjoy. Events include art exhibitions, boat blessings, seasonal events such as Farmer’s Markets, holiday celebrations and charitable events. If you find that St. Charles County, MO is the place for you, please contact Janice Freeman, a local Real Estate Professional, today for more information on areas and available listings.